Every year since 2013, Castiglion del Bosco has launched a limited-edition Brunello di Montalcino Riserva named “Zodiac”. 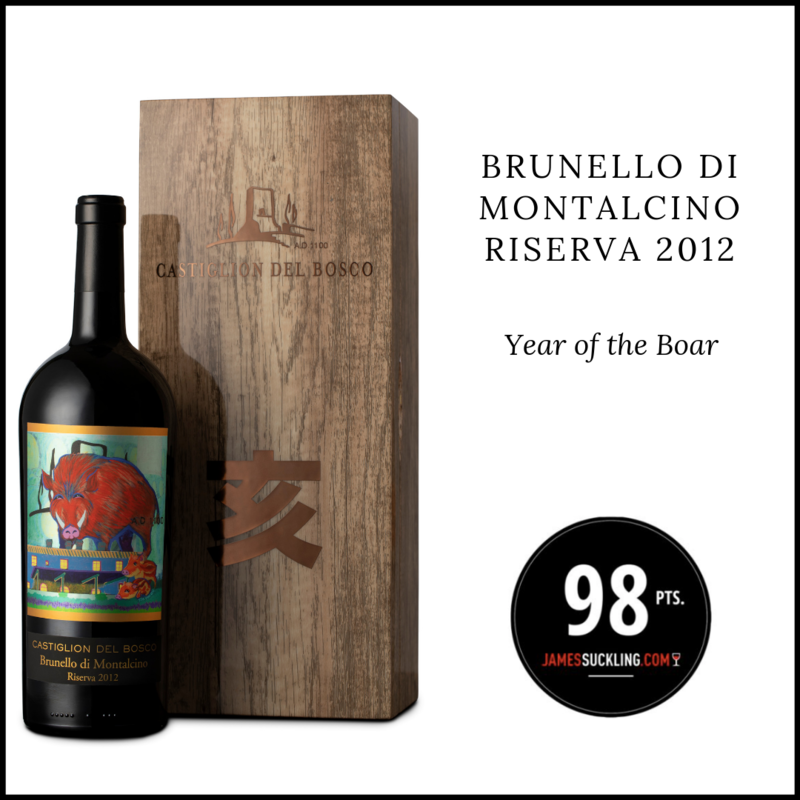 This year, Castiglion del Bosco launches its limited-edition Zodiac Boar, a Brunello di Montalcino Riserva DOCG 2012. This prestigious wine is the result of the expert selection of the very best grapes from the estate’s finest vineyards, and are a full expression of the terroir and the singular characteristics of each vintage. Every vintage of the Zodiac Collection is celebrated with a personalised label exclusively designed for Castiglion del Bosco by renowned Chinese artists. This year the label is designed by Hong Kong artist Tse Yim On (謝炎安), whose paintings are known for their detailed representation of the subject, through the bold use of bright and cheery colors. The launch of the prestigious Zodiac Year of the Boar is celebrated with a series of exclusive gastronomic dinners in Hong Kong, Tokyo, Osaka, Beijing, Shanghai, Taipei and Singapore.